Laniatores is the largest suborder of Opiliones (harvestmen), with over 4000 described species. This group is mostly distributed in the tropical and subtropical regions of the world, with a small number of temperate lineages. 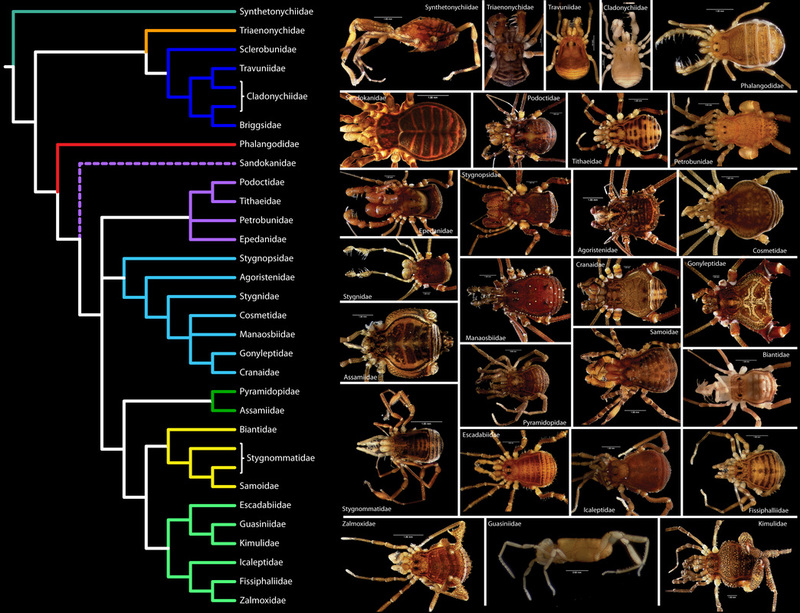 Subsequent to systematic revision, Laniatores is organized into 27 families (kindly refer to Adriano Kury's classification of Opiliones). Phylogenetic analysis based on 10 genes favors laniatorid relationships as shown below. Systematic validity and phylogenetic placement of Synthetonychiidae, a relictual lineage endemic to New Zealand, is a matter of ongoing investigation. Sharma & Giribet (2011) Invertebr. Syst. 25: 106-142.